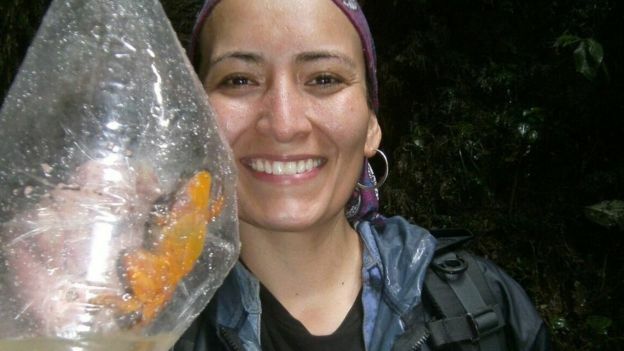 Teresa Camacho Badani is chief of herpetology at the Museo de Historia Natural Alcide d'Orbigny in Cochabamba City and the expedition leader. She is optimistic that opposites will attract, even in frogs: "Romeo is really calm and relaxed and doesn't move a whole lot," she told BBC News. "He's healthy and likes to eat, but he is kind of shy and slow." 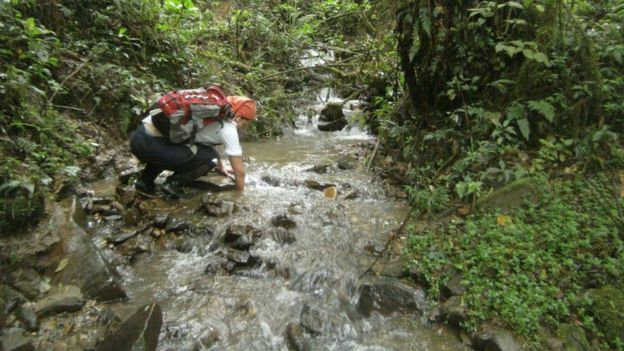 The five frogs - three males and two females - are the first Seheuncas water frogs to be seen in the wild for a decade, despite previous searches in the Bolivian wilderness. 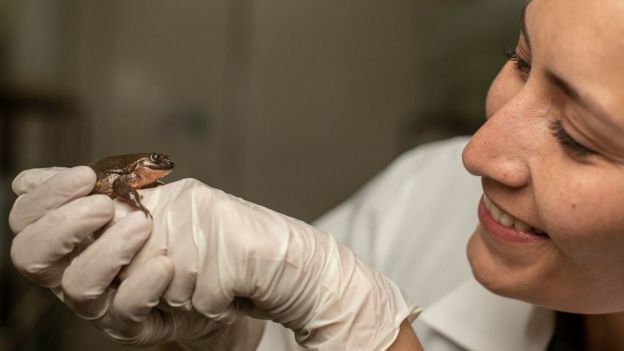 The newly discovered frogs are now in quarantine at the museum's conservation centre, where the race is on to stop the species from becoming extinct. "We have a real chance to save the Sehuencas water frog - restoring a unique part of the diversity of life that is the foundation of Bolivia's forests, and generating important information on how to restore similar species at grave risk of extinction." Teresa Camacho Badani says Romeo's story is important to draw attention to the plight of amphibians. "It's a really good opportunity to use Romeo to help understand those threats, help understand how to bring those species back from the brink but also at the same time to take advantage of the global profile that Romeo and his species has now," she said. "They provide hope in the context of this sixth mass extinction that there are solutions to maintain our wonderful biodiversity, to protect endangered and even extinct-in-the-wild species and bring them back and restore some of the beauty of these ecosystems," said Chris Jordan.